Fontefire WF Clear | Advanced Polymerics, Inc.
Fontefire WF Clear is a one-component water-borne intumescent clear coating for wood. Like its sister product, Fontefire WF, it is a true intumescent coating, which keeps exposed wood cool and therefore hinders the progression of fire. It can prevent CLT structures, or feature wood-paneling, from charring and acting as fuel for the fire. Validated with ISO and European fire tests, it is currently undergoing ASTM and UL testing for protection of wooden substrates. It has a very low level of organic emissions (VOC value 13g/liter). Fontefire WF Clear is ideal for use in CLT buildings and modular structures, where the design is intended to show the wood grain as an architectural feature. 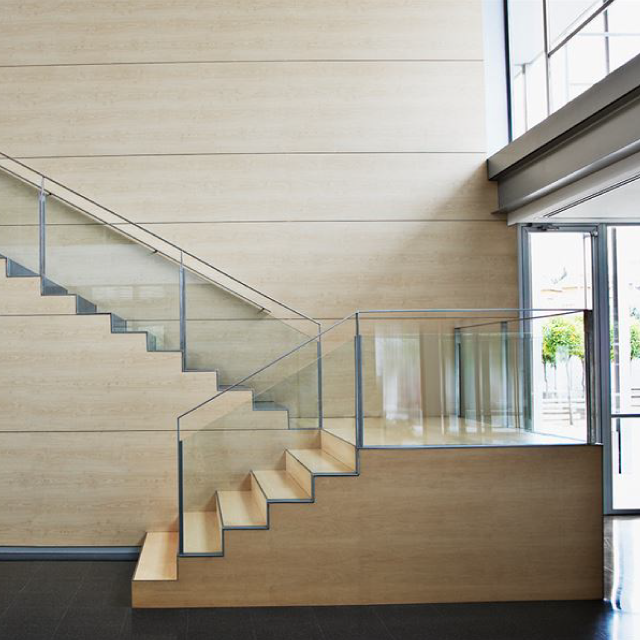 Wooden paneling or feature staircases can also benefit from Fontefire WF Clear protection. Fonefire WF Clear can also be used as additional protection on historic building structures. Fontefire WF Clear is translucent rather than crystal-clear. It does have a pleasing transparent white tonal shade that highlights the grain of the wood. In areas of high “Foot traffic” Fontefire WF Clear can be overcoated with a protective varnish, without affecting its intumescent properties (Akvilac WF 10 is recommended, ask for details). A smart coating is one which is able to sense a change in its environment and respond to that change in a predictable and noticeable manner.” So, to be considered “smart,” a coating must be able to offer something which is over and above the normal function of a typical coating, such as color, protection or waterproofing. Smart coatings can be self-repairing, optically active, bioactive, self-cleaning or respond and react to pollutants. © 2019 Advanced Polymerics, Inc.. All rights reserved.